An Indian doctor living in Europe comes back home to solve a healthcare threat that is looming over the country, and in the process,he unravels the mystery surrounding his father's death. ‘Mersal’ is an all important film in Vijay’s career as his last outing ‘Bhairavaa’ failed at the box office and this is also an acid test for Atlee whether he can score a blockbuster hat-trick. The result is that the Thalapathi scores three times his mass and Atlee delivers once again. 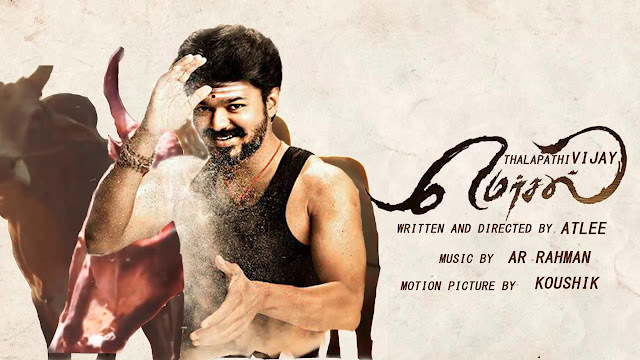 Mersal has a larger than life plot, triple role moments that you find only films and some superficial scenes; but when you see Vijay in the middle of all these, it all the more easy for viewers to suspend disbelief and settle back for fun. Because when he is in action, you don’t think much about logic.